A Medium to Fast paced Vinyasa flow with Ashtanga elements creating a strong, dynamic yoga practice. Ashtanga Vinyasa will work on your strength and flexibility while still rooting you to your chakras and the breath. Fitness Yoga is carefully sequenced by the instructor to have a different feel for each class, depending on what the instructor will choose to focus the intention of the class towards. Through careful sequencing you will build, strength, flexibility and endurance, flowing from one move to the next. Classes will build gently and finish with the opportunity to slow down, calm and soothe the mind, body and breath. Beginners and experienced yogis are welcome to join this gentle, slow paced practice. Gently working on your strength, balance and flexibility you will start to use the breath and props to find comfort within poses. Offering a slow-paced, breathing-oriented yoga class accessible for beginners focusing on the fundamentals of breathing techniques (pranayama) and yoga poses (asanas). You will be gently guided through traditional Hatha yoga sequences and poses. This class will provide you with the knowledge and experience to pursue more yoga comfortably in the future. Hatha Yoga is the physical practise of Asanas (Yoga Postures/Poses) to stretch and strengthen the body with focus on Pranayama (breathing techniques) and at the end of each class - Meditaion. Hatha Yoga symbolises the connection of the Sun and the Moon will help to bring peace and balance to the mind & body, increase your flexibility and allow for a deeper connection with in. A wonderful, fluid Yoga practice which builds focus, strength and endurance, whilst connecting the breath with movement. Through mindful movement, these classes will flow from one posture to the next focusing on bringing your awareness physically, emotionally and spiritually. Mindful Vinyasa whilst still a flow class, it will still provide the opportunity to slow down and tune inwardly and explore ones own thought and feelings. Rocket Yoga, derives from Ashtanga Yoga, it's a strong, energetic, playful but focused practise. Rocket brings a fresh modern approach to Yoga, that allows individuals to explore postures and develop at their own pace, developing strength, flexibility, swell body and spiritual awareness. Rocket Yoga warms the body up through the practise of Sun Salutations. Due to Rockets traditional roots, the practise still quietens the mind, and focuses heavily on breath /Pranyama, but allows for a faster paced, upbeat flow. Rocket is a strong but also playful practise accessible for all levels! Classes have a fresh, modern vibe, with cool tunes playing in the background so your soul will feel more awakened and vibrant after finishing a Rocket class. Open to all levels except those completely new to Yoga. After pregnancy, childbirth and adapting to being a new Mum, it is also important to nurture your own mind and body too. It’s very easy to forget just what our bodies have been through, so after your 6 week health check or 10 weeks if you have had a c section and you have been given the all clear, you can return to Yoga mat. Our Postnatal Yoga is for new mums to practise safe postures, breathing exercises and relaxation techniques, that will help heal the mind and body, after pregnancy and childbirth. Postnatal Yoga will allow you to ease back into your physical practise, strengthen your pelvic floor and abdominal muscles, release physical and emotional tension, mobilise and realign the spine and improve your general well being. 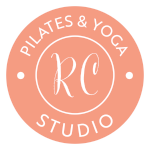 Unique to RokCore, Sculpt is combination of Pilates and Yoga inspired exercises put together to shape and tone the body. Sculpt is low impact class, that focuses on building strength in the arms, abs, legs and glutes. Due to the upbeat and fresh vibe, Sculpt will allow you to feel the burn but leave you with a happy and uplifted after feeling. Sculpt is also a great compliment to our Yoga practise as it strengthens all the muscles needed for to build Yoga postures such as arm balanced and inversions. Our Pregnancy Yoga Class with Luisa Rennie, focuses on your mental and physical wellbeing, and is specifically for mothers to be. Pregnancy is a very special time and many changes are happening within the body, lives and also emotions. Prenatal Yoga, offers you a comfortable environment to help you relax and take time to adapt to these changes! Prenatal Yoga allows time to draw your attention inwards - to focus and contect your own mind and body, bond with your growing baby and also connect with other mums to be, within the community. Within the group you are welcome to share pregnancy joys, concerns you might have and even your birthing plan! Through pregnancy safe Yoga postures, breathing and relaxation techniques, you can stay toned, flexible, build strength and prepare the mind and body for labour and birth. When Can You Start Pregnancy Yoga Classes? Pregnancy Yoga is suitable for all levels, from beginners to experienced practitioners of Yoga. We recommend attending Pregnancy Yoga after your 12 week scan and you can continue to practise up until labour, providing your GP or midwife have not advised against it. Especially for those of us feeling stressed, over-worked or too busy to think, this nurturing Restorative Yoga class offers time to rest the mind and body and enjoy long, relaxing stretches. Blankets, blocks and bolsters are used to help support the body in each blissful position, allowing you to relax deeply with minimum effort. Yoga Nidra, is a guided relaxation, usually of 15-30 mins, done in the resting pose savasana, bringing deep relaxation, focus and healing. Luisa has studied yoga therapy, yoga nidra and meditation practices in depth – all of this will feed into this heavenly Monday night special! Have some fun with your pilates practice as we introduce to you Sculpt. Sculpt is an upbeat Legs-Bums & Tums meets Pilates class, focussing more on building strength and having a laugh. A medium paced class that is tied intrinsically to the breath. The class explores the connection of the mind and body to breathing techniques. Yoga will not only help teens become more compassionate to others but it will also help them feel more compassion towards them selves. By practising the physical side of Yoga, Teens will build their strength and flexibility. They will also learn breathing techniques and meditation, helping to calm the mind and central nervous system, leading towards a more positive life. A traditional Vinyasa Flow class focussed on building strength and stamina.